Alcohol poisoning in medical practice are very common. This is due to the large-scale distribution of matter as in the workplace and at home. Ethanol is a clear, colorless combustible liquid. Other names – ethyl alcohol, rubbing alcohol, ethyl alcohol. perfumery and cosmetics – comes with perfumes, sprays, shampoos, shower gels, toothpastes. violations of safety rules when working with ethanol. Ethanol has a toxic effect on the organs and systems. The poisoning substance is acute and chronic. Ways of getting it into the body: for oral administration through the gastrointestinal tract, by inhalation through the pulmonary system through the skin. Depending on the concentration of ethanol, dose and pathways alcohol can cause mild narcotic intoxication or extreme intoxication, leading to death. The average lethal dose of 4 to 12 g per 1 kg of body weight of a person. It is 300 ml of pure 96% alcohol. The main breakdown product of ethanol – acetaldehyde. This substance is highly toxic, carcinogenic and mutagenic properties, damages the bodies at the DNA level. In acute intoxication is the poisoning of the brain, which can lead to death. The sustained and systematic use of alcohol destroyed internal organs. The Central nervous system and the brain. This is the place where the ethanol is concentrated more than in the blood. Has a sedative effect – euphoria, muscle relaxation. 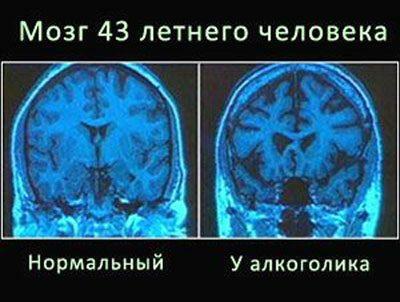 Causes damage to neurons and their death. In chronic alcoholism decreases the volume of the brain and changes the chemical composition of the neurons. So there is necrosis of parts of the brain hemorrhage. The liver. In the body is biotransformation (decay) of ethanol. With chronic use of alcohol occurs degenerative changes in the structure of the body, such as a protective reaction and the stagnation of bile. The toxic effect leads to necrosis of the hepatocytes (liver cells). Multiple foci of necrotic sites lead to fibrosis (growth of connective tissue) and, consequently, to cirrhosis. Chronic poisoning occurs fatty degeneration of the liver due to the violation of the synthesis of fatty acids. The digestive tract. Dysfunction manifested by stomach pain due to mucosal injury. Diarrhea is a consequence of lactase deficiency, malabsorption of water and salts from the bowel. In acute poisoning develops necrotizing pancreatitis with subsequent fatal outcome. 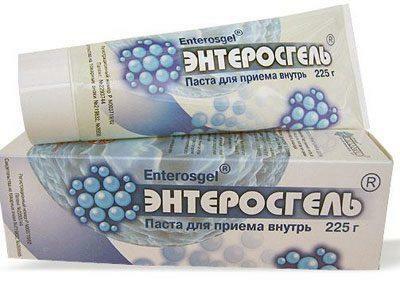 Increases the risk of ulcers and gastritis, cancer of the esophagus and intestines. The heart and blood vessels. Ethanol – hemolytic poison. Destroys red blood cells with release of hemoglobin, causing hemolytic anemia. Develops arrhythmias, alcoholic cardiomyopathy (damage to the heart muscle). As a result, the alcohol can lead to heart failure. Genito-urinary system. Detrimental effect on germ cells, crosses the placenta, causing a disruption of fetal development, accumulates in breast milk. The impact of the ethanol individually, depending on susceptibility and doses. 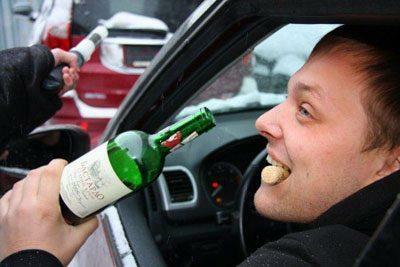 At the initial stage of development on the background of intoxication a person feels excited. At high concentrations creates the effect of anesthesia. inadequate attitude to criticism, overestimation of your own abilities. The slowed reflexes, impaired coordination of movement, reduced pain sensitivity. Then the excitement phase is followed by the phase of sleep. With an average degree of poisoning with ethanol to the above symptoms joins the defeat of the gastrointestinal tract: nausea, vomiting, diarrhea, leading to dehydration. 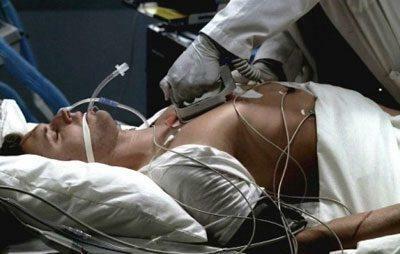 Ethanol intoxication severe characterized by a deep functional changes in all vital organs. The respiratory system – shortness of breath, bluish skin, excessive phlegm mucous membrane of the bronchi, wheezing in the lungs. Violation or stop breathing – a common cause of death in ethanol intoxication. The reason the tongue, aspiration of vomit, spasm of the trachea and bronchi (violation of respiratory function in the Central type). Heart fixed persistent conduction disturbances and rhythm. Blood pressure is sharply reduced. Much thickens the blood, the body zakislate (acidosis). dark urine, its quantity is minimal, because of the action of oxalic acid on the kidneys. Blood alcohol content 5 0/00, 0/00 urine 6. For comparison, the poisoning of moderate severity the content of alcohol in the blood is of 1.2 — 2.5 0/00. Dose leading to paralysis of the respiratory muscles, is 3.8 0/00. Emergency hospitalizations require victims who are in a very serious condition, when the threat of development of coma and death. Lavage of the stomach. The procedure is repeated, is carried out to the full of clean wash water. Hydration therapy – restoring water-salt balance, eliminate dehydration. Forced diuresis – rapid method of withdrawal of toxic substances from the body by increasing urine volume. When depressed breathing connection to a respirator (continuous flow of oxygen). When you stop kidney dialysis – cleaning the blood by using artificial kidney. When sudden cardiac arrest – cardioversion using a defibrillator. 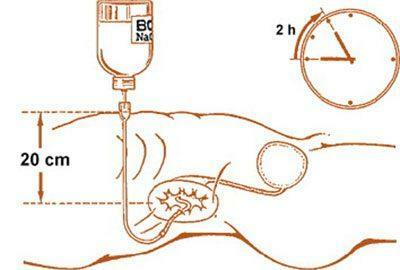 Intravenously administered drugs in such a combination of naloxone with glucose + thiamine. This complex has an awakening effect in different intoxications, including alcoholic. Treatment of ethanol intoxication, symptomatic: analgesic, antipyretic, sedative (anti-anxiety) medications to maintain cardiac activity. to provide absolute peace, to eliminate the ingestion of drugs, food. Activated carbon in ethanol intoxication are not effective, since the substance does not adsorb the alcohol and reduces its level in the blood. filtrum – removes ethanol from the intestines, restores intestinal microflora, improves peristalsis. Method of use: 2-3 tablets up to 4 times per day. Sorbents should not be taken together with medications, between them the time period should be at least an hour. Alcohol poisoning is easier to prevent than to treat. 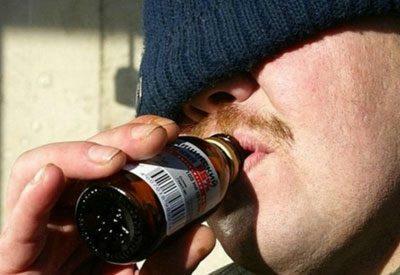 To do this, you should not abuse alcohol, to use low-quality products containing alcohol. It is important to observe safety precautions when working with alcohol-containing substances. As death from alcohol intoxication (poisoning).